As part of a nationwide effort, over this past weekend wildlife officers in Kansas nabbed boating, hunting, and alcohol violators at state lakes and reservoirs. 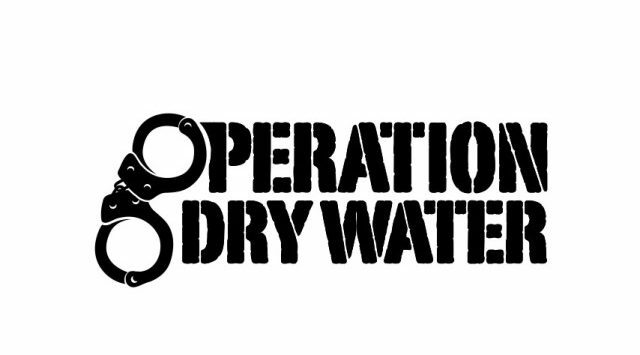 According to the Kansas Department of Wildlife, Parks and Tourism, game wardens participated in Operation Dry Water, a national effort to reduce the number of accidents and deaths related to boating under the influence. The three-day enforcement effort was conducted from 12:00 a.m. June 27 to 11:59 p.m. June 29. In addition to enforcing wildlife laws and regulations, game wardens are responsible for patrolling the waters of Kansas, conducting boat accident investigations, boat safety inspections, BUI checks, safety programs, education classes and other boating related activities. Many factors contribute to the way alcohol affects a person on the water, such as the sun, wind, glare, dehydration and wave motion, causing a person to become intoxicated three times faster than on shore. Heavy rains statewide reduced the amount of boat traffic and forced the cancellation of three-fourths of the planned Operation Dry Water activities. Nevertheless, wardens made two BUI arrests during the reporting period, one boater at Kanopolis Reservoir and one boater at El Dorado Reservoir. Three boaters were tested for BUI at Wilson Reservoir and all three were found to be under the legal limit to operate a boat. At Cedar Bluff Reservoir Friday night, 12 citations for minor in possession/consumption of alcohol and one citation for furnishing alcohol to minors were issued. One boat accident was investigated at Wilson Reservoir, where a boat caught fire and was destroyed. It appears the operator started the inboard/outboard boat before ventilating the engine compartment, leading to the fire. Fortunately, there were no injuries. In other activities, an investigation in Trego County into the illegal poaching of three wild turkeys and 14 mourning doves that were killed in closed season was completed, resulting in 15 citations being issued for these poachings. At Middle Creek State Fishing Lake south of Louisburg on June 27, game wardens issued one citation for driving off roadway, two citations for possession of alcohol on state property in violation of posted notice and issued a warning for no personal floatation device on board a vessel.